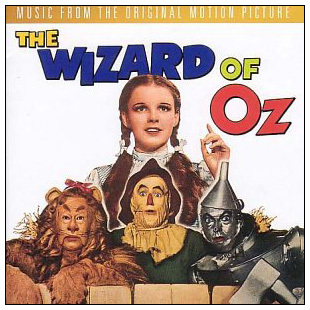 In 2002, "Warner" released this edition of the soundtrack in the United Kingdom. It is identical to the 1995 single disc edition released by Rhino Records. Even the catalog number (R2-71999) is the same. Only the cover art is slightly different. All images on this page from the collections of Scott Brogan and Eric Hemphill. Judy Garland tracks in green.